Present day research and development is a core part of the modern business world. R & D is of great importance in business as the level of competition, production processes and methods are rapidly increasing. Quality is a integral part of Padmavati Pipes business principles. These principles guide our action to deliver products and services that ensure Life Long Satisfaction. This is essential for the achievement of our ambition to be recognized and trusted as the leading pipes & fitting industry. 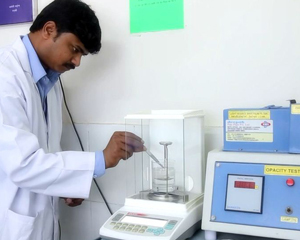 For better quality product development we have proper & systematic quality management System & Team that ensure our products quality with high level of integrity and as per the standards as we have maintained our in House Ultra Modern Lab Testing Facility. Quality is about trust. Each & everyone of us has the power to influence this trust through our dedication to the quality of our products.